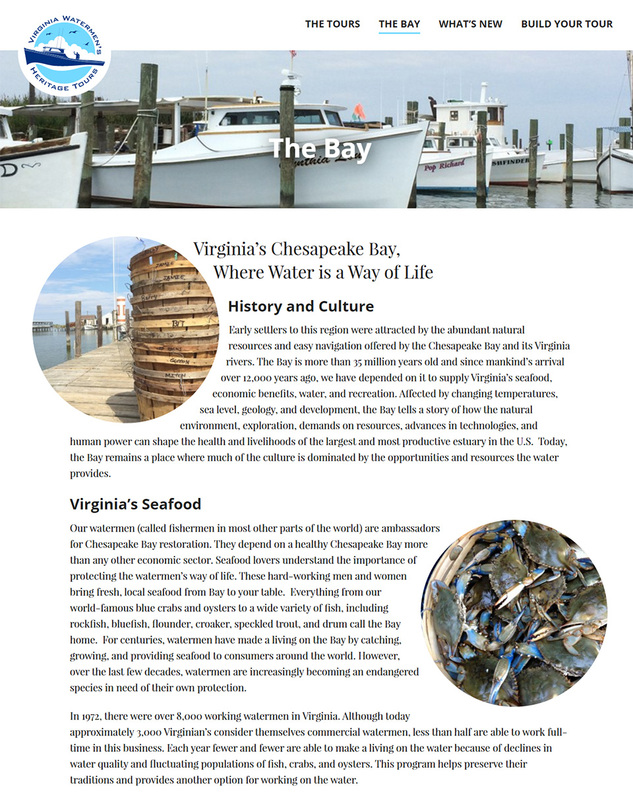 Virginia Watermen’s Heritage Tours allows visitors to the Eastern Shore of Virginia to experience the time-honored history and traditions of working watermen up-close and personal. 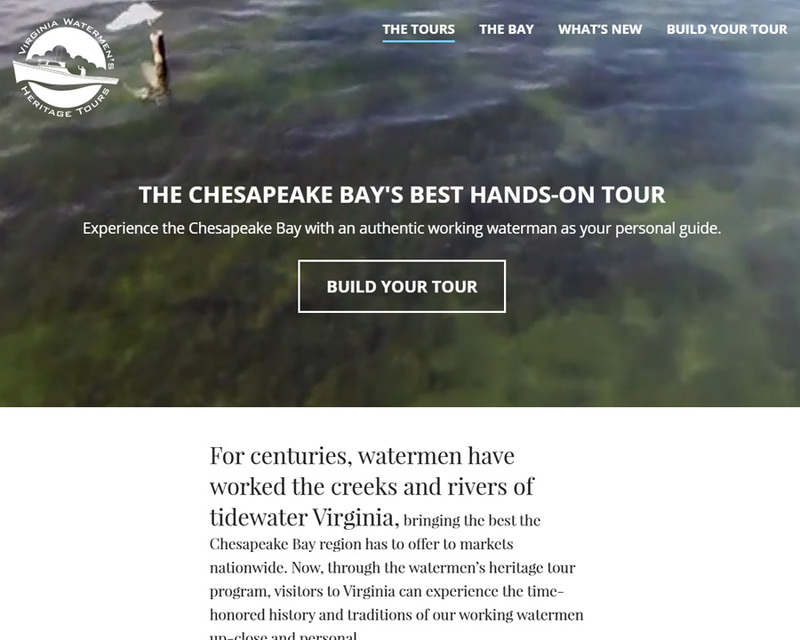 Refresh worked with Watermen’s Tours to create a sense of place of the bay throughout the website design while making the primary action of contacting a captain about a tour as easy as possible. 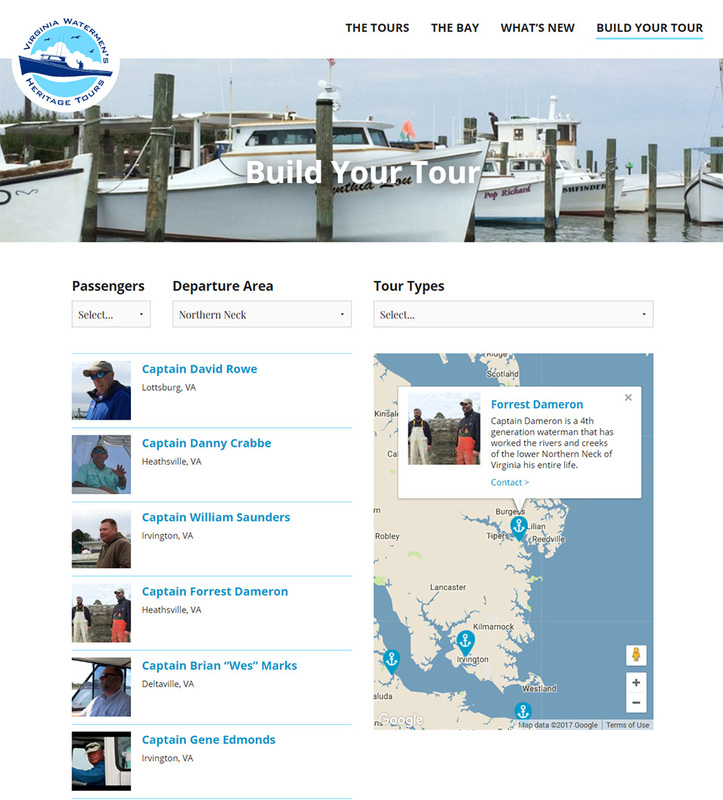 Using a custom Google map implementation, visitors to the shore who are interested in booking a tour can search for a Captain near their lodging and click through to contact that specific Captain directly. Refresh utilized modern CSS layout tools in the design of the main content pages of the site. Allowing images to interact with the text of the page provides a visual interest and draws readers into the page, further engaging with the content. Attention-grabbing video highlights the beauty of the Bay and the experience visitors can expect when booking a tour. Don't have your own video? Refresh can help!